Hello LDV readers! 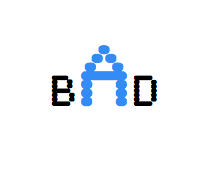 Brendan here of (BAD) Blog About Design. For this Jet Set post I decided to take us to the city of Santa Monica, California. What I like about Santa Monica is that it's not only incredibly beautiful, but also the perfect transition location from summer to fall. The Huntley Hotel is a luxury hotel located near the beaches of Santa Monica. During the summer months I'd prefer a hotel right on the beach, but during this time of the year I don't mind the walk, especially since the hotel is located right next to shopping and restaurants. (ABOVE) I love the entry way of the hotel. It's very grand and has a strong sense of California design. If you look at the center building, you'll notice the elevator which has views of the outdoors. I'd be a little nervous taking the elevator during a storm! (1) The lobby is full of unique pieces that feel both modern and retro. I love the two wood armchairs directly in front. The chairs look like chocolate! This lobby feels very inviting, and has many places to spread out and relax while you wait for your suite to by ready after a long plane ride! With so many different pieces in the space which piece is your favorite? 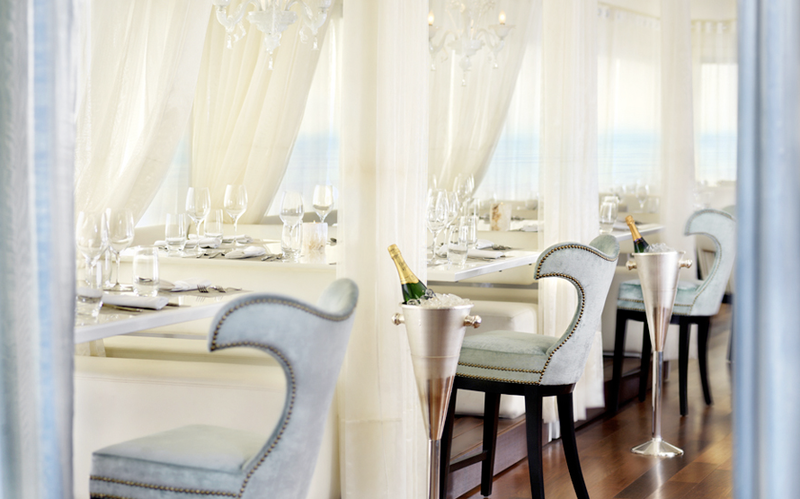 (2) The Penthouse is a top floor restaurant that has sweeping views of the ocean. The restaurant serves American, Asian, and Pacific foods. The design of the restaurant is very elegant and sleek. I love the drapery and chandeliers above each table. The curtains bring a lightness to the area. (3) The suites have a modern-retro vibe. I like how the T.V is displayed, by propping the T.V up, the suite feels more spacious. At the Huntley there are many different types of suites that one can stay in. From standard guest rooms to presidential suites, whatever your preference, you're sure to enjoy the rooms! (4) The suite's bathrooms are very modern. The wood textured ceiling and walls soften the stone. Even though I prefer bathrooms with a bit more kick, I really like the simple design here. When you're on vacation you don't want your head spinning from the loud design. (5) A view of the Huntley from the front doors. The curtains really soften the exterior. The curtains scream a little Palm Springs to me! What do you think of the hotel? Have you stayed here before? Share in the comments! Below are a few fashion picks to pack with you to California! The suite looks absolutely perfect!